World Geography Nine Weeks Exam Review. 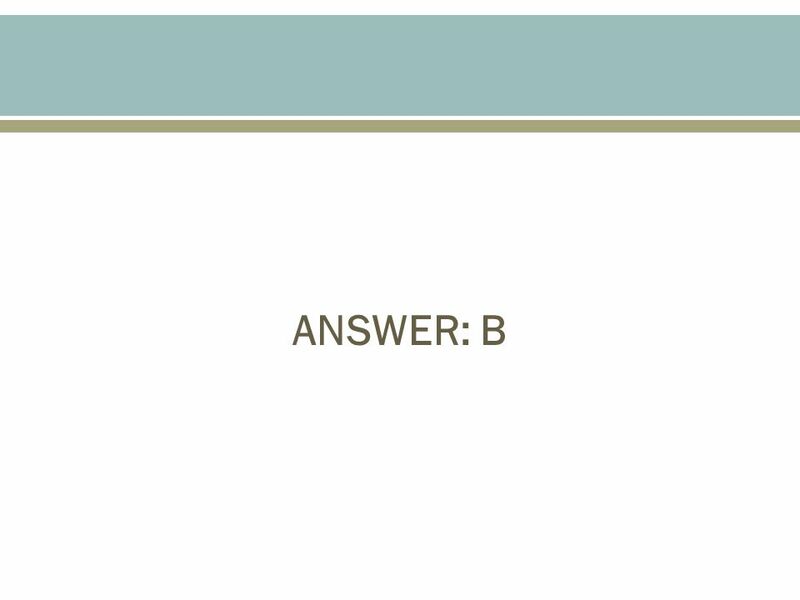 2 Question 1 Which of the following examples describes an institution at work? People in the Middle East enjoy eating pita bread. Religious Roman Catholics attend church each Sunday. Teenagers in Western Europe often text message their friends. Many herders in Africa’s Sahel region have moved away to avoid drought. 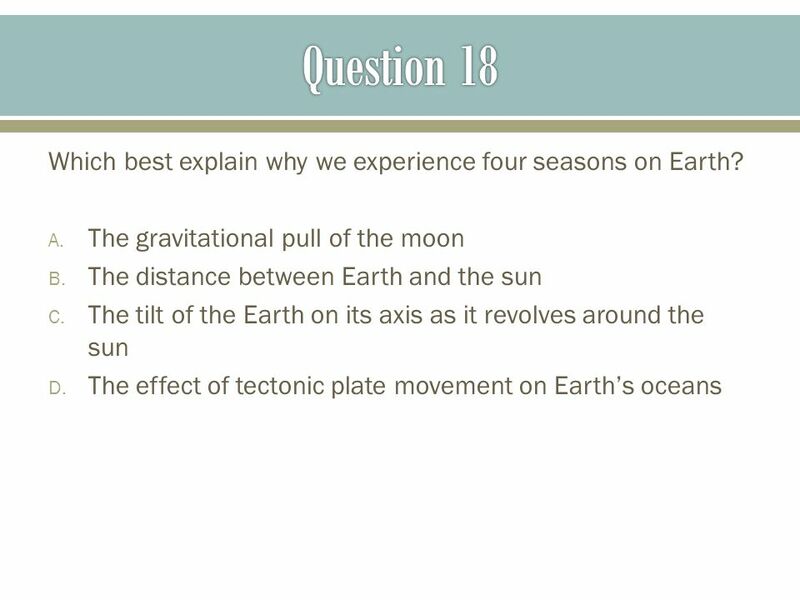 8 Question 4 Geographers consider the areas stretching above and below the Sahara Desert as part of the African continent. Some geographers feel the cultures of North Africa are more closely associated with those of the Middle East than with Sub-Saharan Africa. 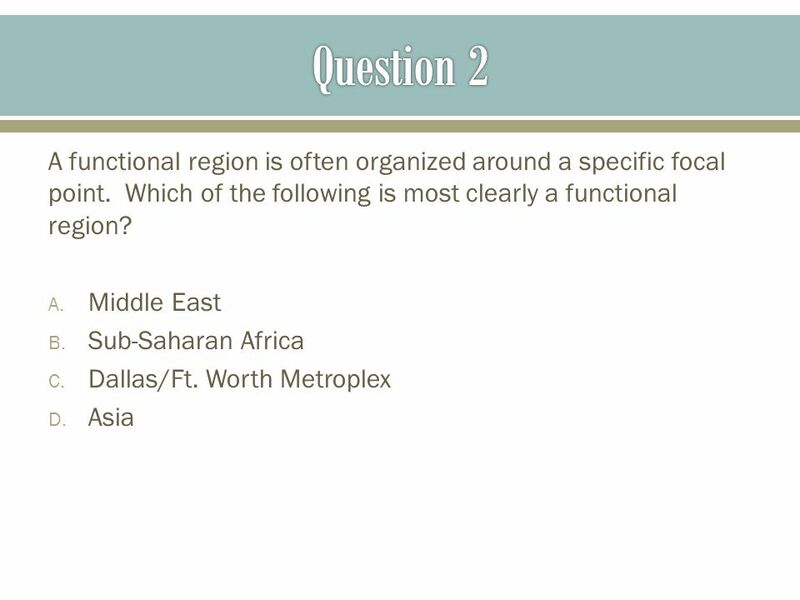 This shows that cultural characteristics can be used to define regions. Africa was subjected to European imperialism. most Africans would like to emigrate to the Middle East. North Africa’s physical features prevented contact with the Middle East. 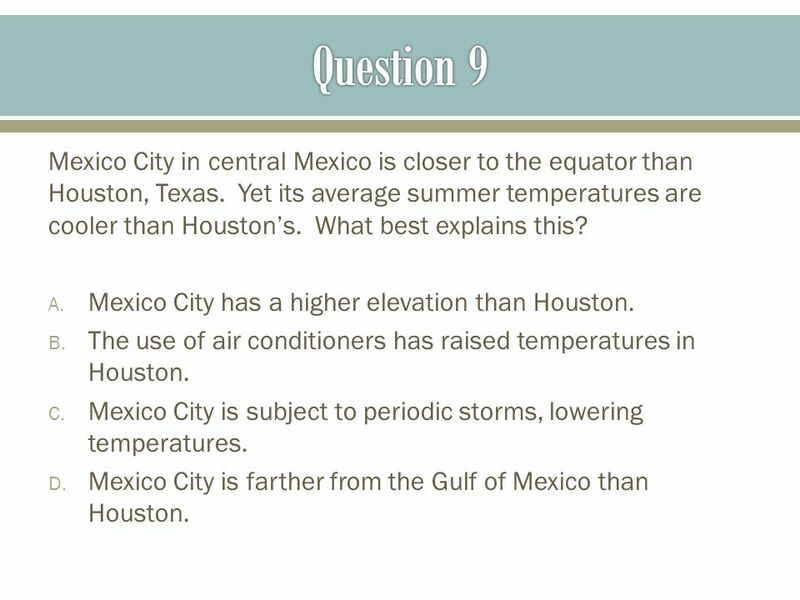 18 Question 9 Mexico City in central Mexico is closer to the equator than Houston, Texas. Yet its average summer temperatures are cooler than Houston’s. What best explains this? Mexico City has a higher elevation than Houston. The use of air conditioners has raised temperatures in Houston. Mexico City is subject to periodic storms, lowering temperatures. Mexico City is farther from the Gulf of Mexico than Houston. 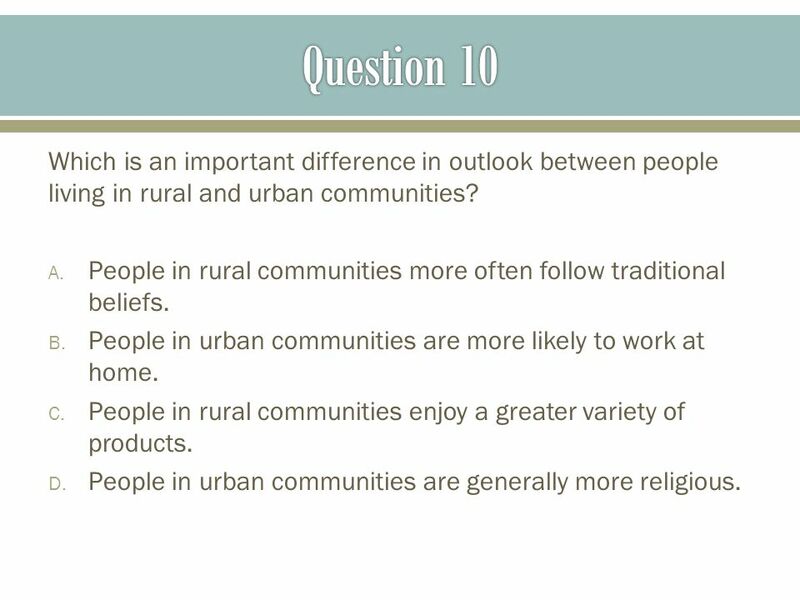 20 Question 10 Which is an important difference in outlook between people living in rural and urban communities? People in rural communities more often follow traditional beliefs. People in urban communities are more likely to work at home. People in rural communities enjoy a greater variety of products. People in urban communities are generally more religious. 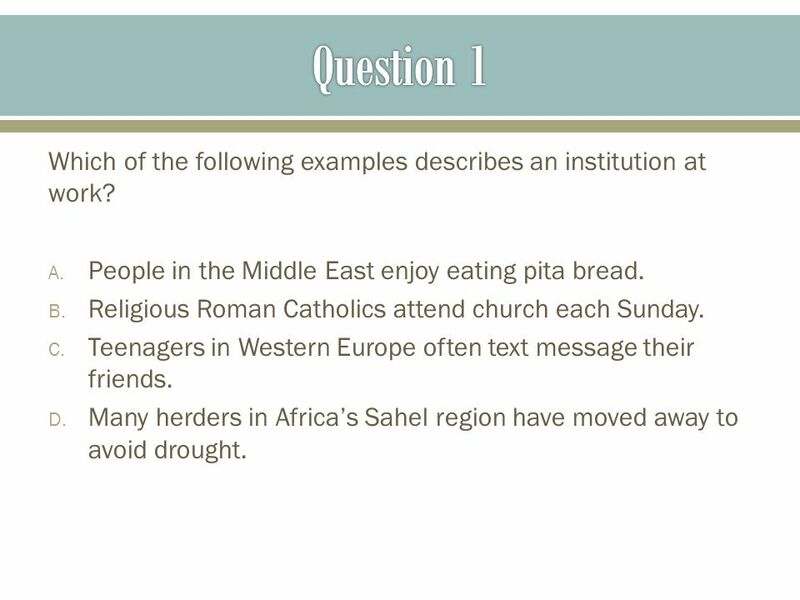 22 Question 11 The Middle East is considered a single cultural region by most geographers because it has a warm, dry climate. 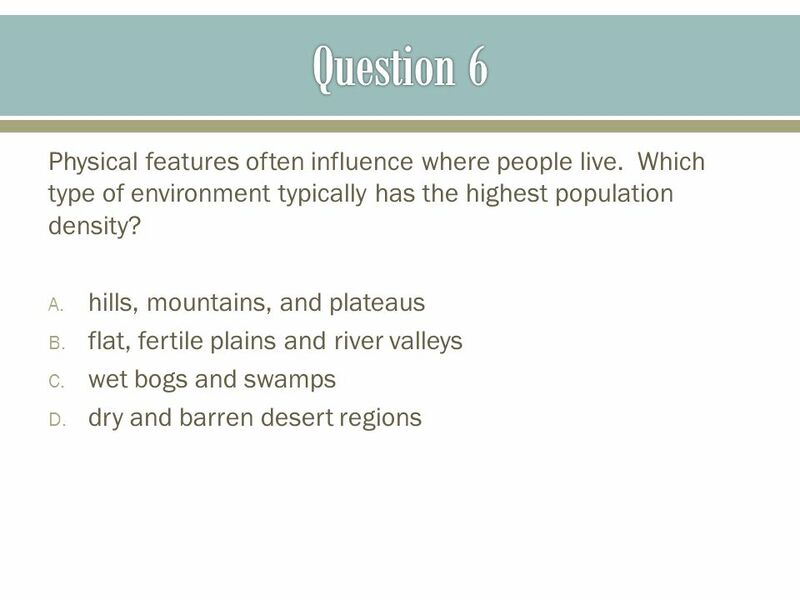 it has fertile river valleys. it has many deserts and mountainous areas. its people share a common history and heritage. 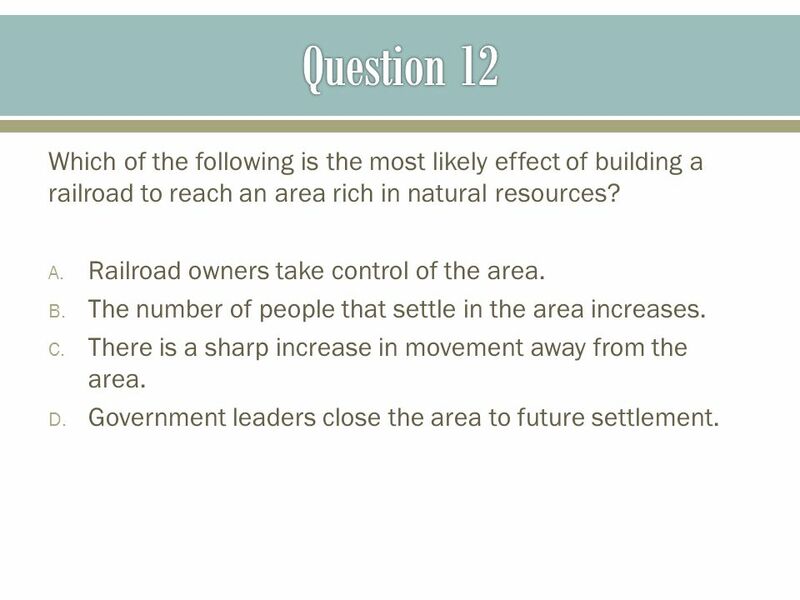 24 Question 12 Which of the following is the most likely effect of building a railroad to reach an area rich in natural resources? Railroad owners take control of the area. The number of people that settle in the area increases. There is a sharp increase in movement away from the area. Government leaders close the area to future settlement. 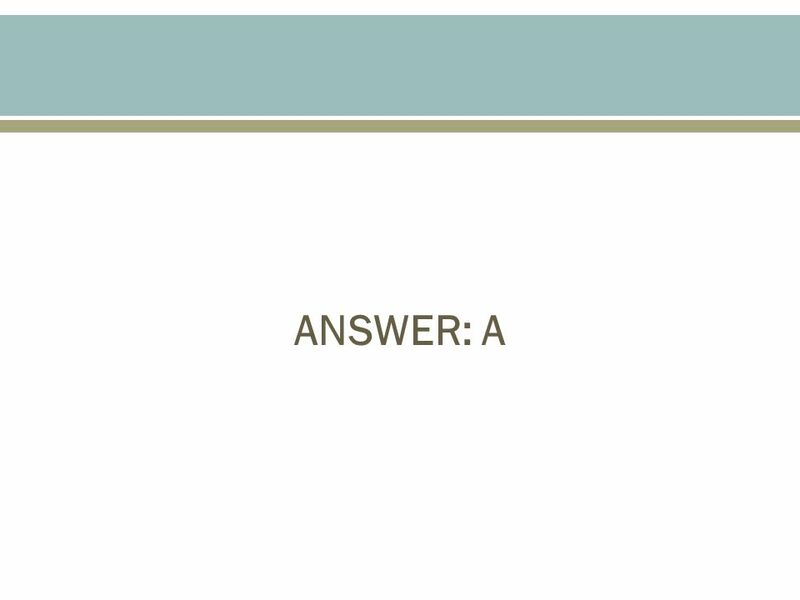 26 Question 13 Which was a direct result of the initial contact between European cultures and Native American cultures in the 1490s? Most Spaniards migrated to the “New World.” Spanish settlers rejected Christianity for Native American religious beliefs. New diseases arrived in the Americas from which natives lacked immunity. Native Americans used Spanish settlers as a source of cheap labor. the existence of multiple political parties. censorship, religious laws, and repression. a written constitution. 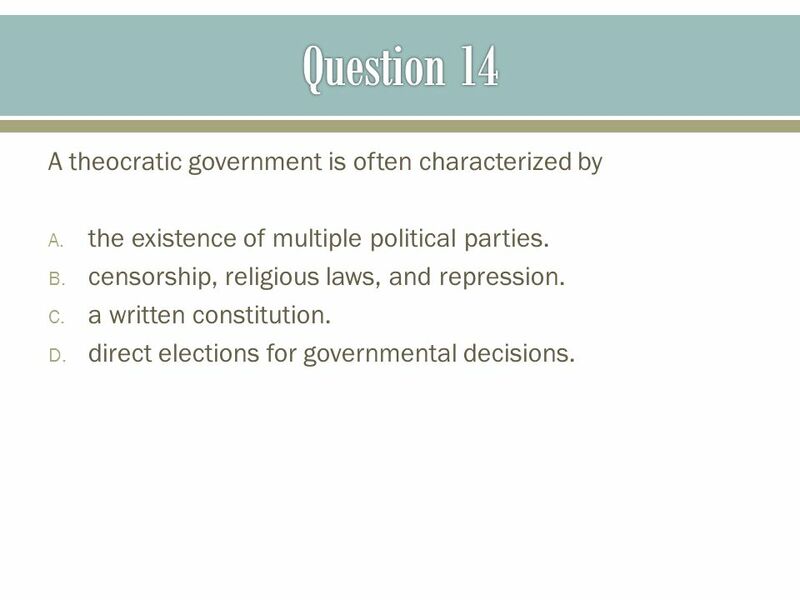 direct elections for governmental decisions. 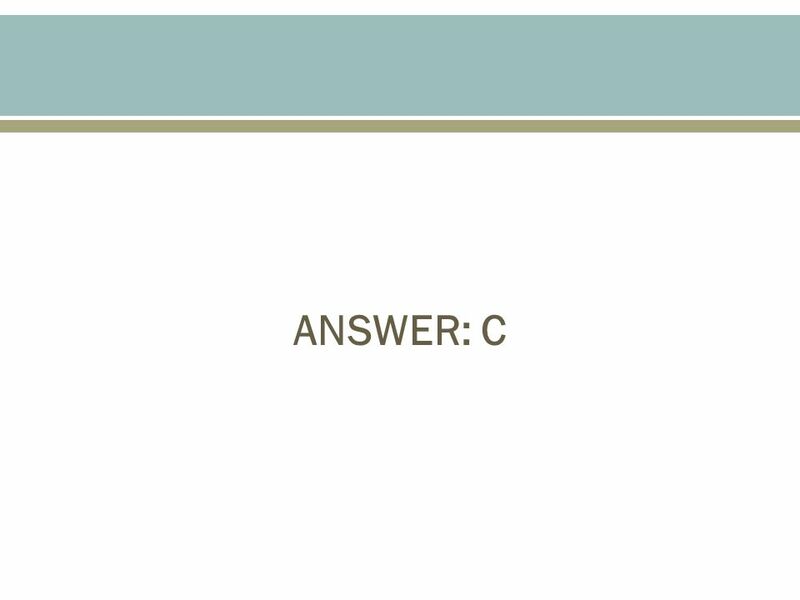 30 Question 15 Which of the following is an example of human migration caused by an economic “pull” factor? Puritans migrated to Massachusetts to freely practice their religion. Afghan refugees fled to Pakistan to escape war involving Taliban and U.S. forces. Turkish workers migrated to Germany after 1945 to fill jobs in that nation. East Berliners crossed into West Berlin in the 1960s to escape Communist rule. 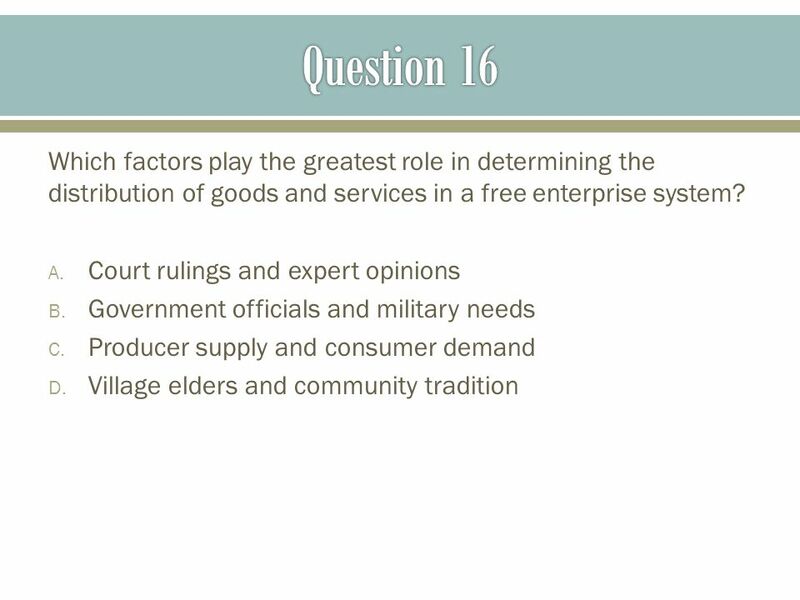 34 Question 17 Which is a valid generalization about developed nations? In more developed nations, infant mortality rates are usually higher than birthrates. 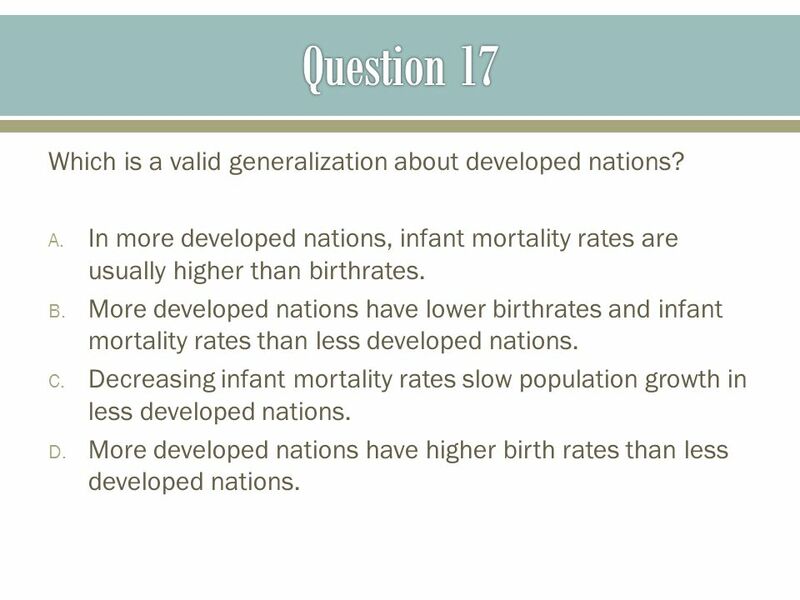 More developed nations have lower birthrates and infant mortality rates than less developed nations. Decreasing infant mortality rates slow population growth in less developed nations. More developed nations have higher birth rates than less developed nations. 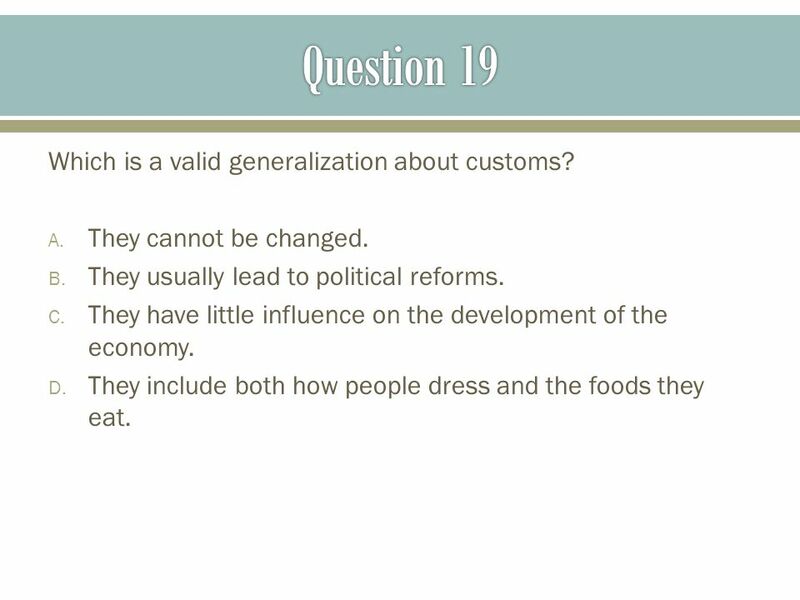 38 Question 19 Which is a valid generalization about customs? They cannot be changed. They usually lead to political reforms. 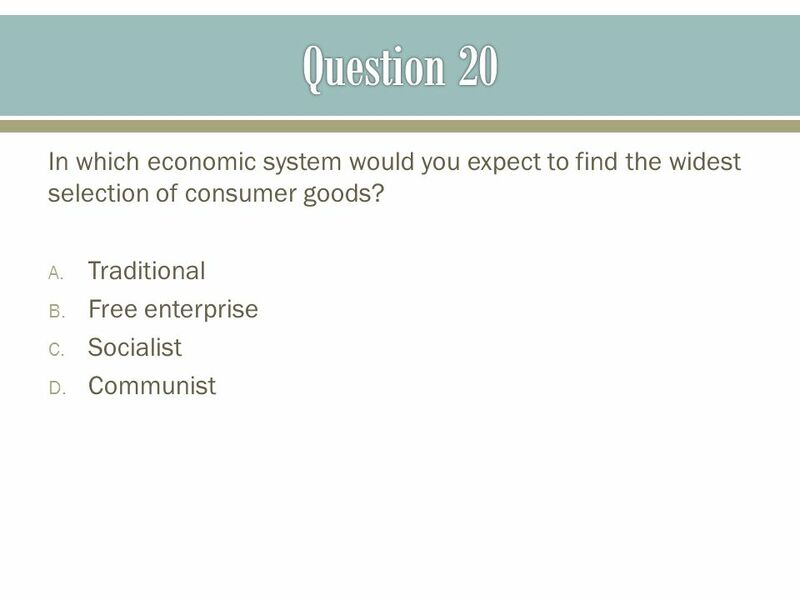 They have little influence on the development of the economy. They include both how people dress and the foods they eat. 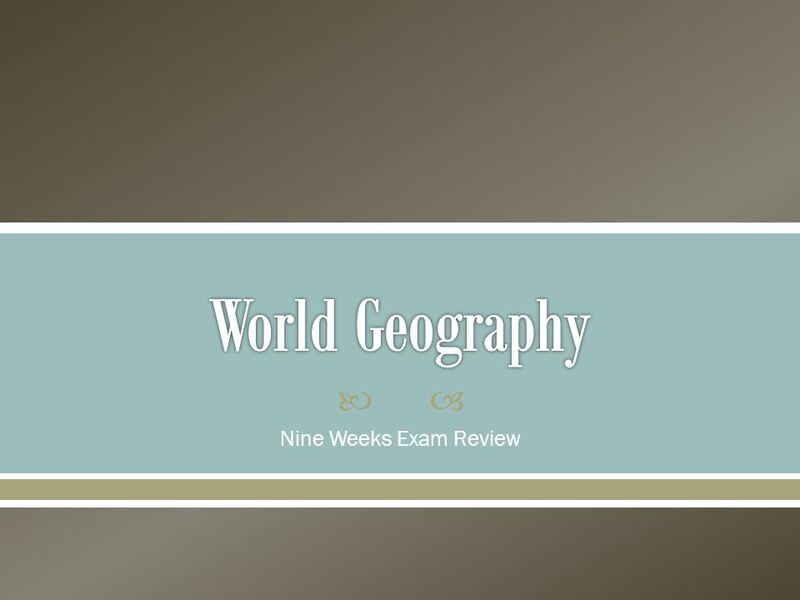 Download ppt "World Geography Nine Weeks Exam Review." Introduction to our World -A Physical Earth -B Culture -C Chronological Time. Chapter 11 - Migration Physical and human factors influence where people settle. However, people do not always stay in one location. Migration refers. Migration What reasons cause people to migrate to different areas? 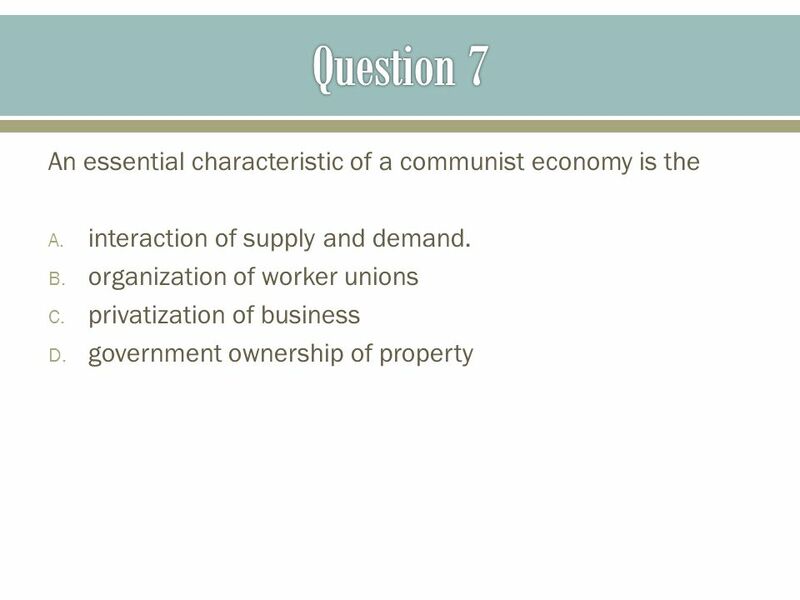 World Geography Unit 2 Human Geography. 1 st 4 Week Review World Geography. 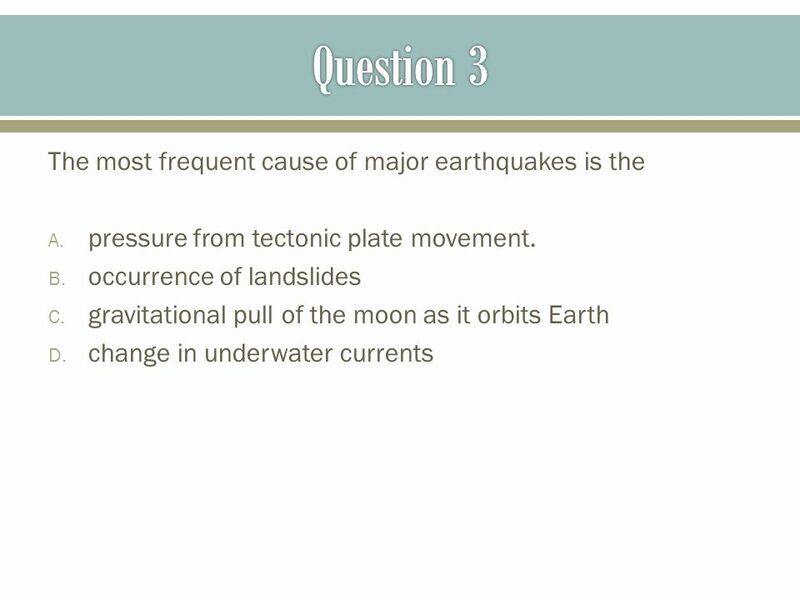 Tectonic plate movement Tectonic plate movement may be caused by slab pull, ridge push and convection. 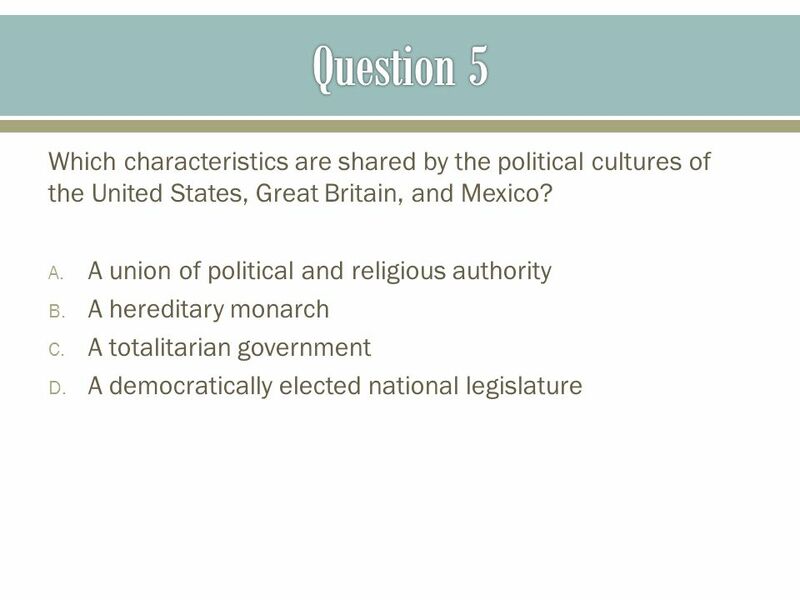 6.3 Students will identify the characteristics of climate regions in Europe and the Americas and describe major physical features, countries and cities. Regions of the World. Essential Understandings Regions are areas of the earth’s surface which share unifying characteristics. Unit 2 Review Review session after school in room 203 3:20-4:15.